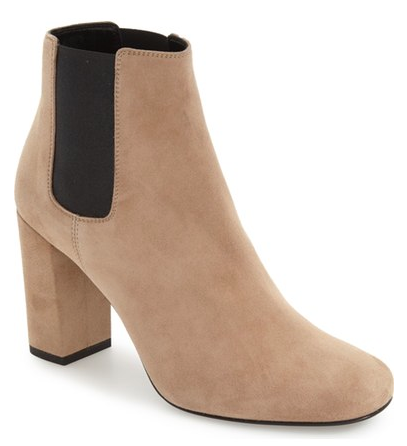 Frye refines the essential moto bootie in a low-profile silhouette of rich leather with antiqued double zips for a vintage feel. 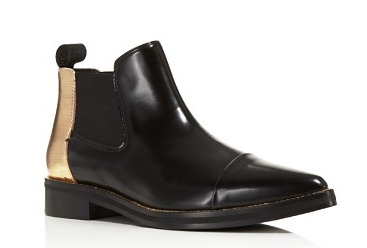 McQ’s downtown booties step into the spotlight with gleaming metallic heel caps. 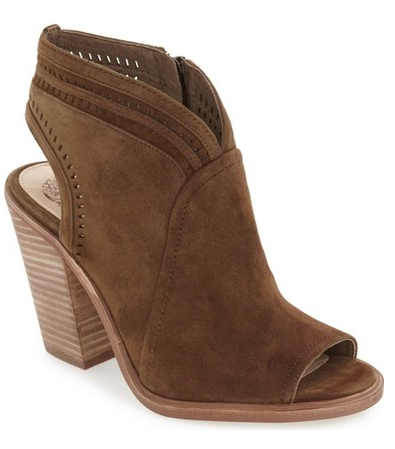 Straddle the seasons with Sam Edelman’s block-heeled booties in earthy suede with breezy open toes. 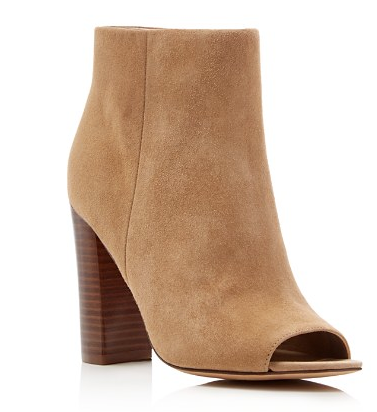 The bootie reinvented. Get this versatile season spanner for it’s split upper and wear it with everything in your closet. Perforated detail at the heel makes this a standout. 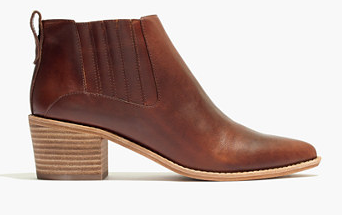 A sleek Chelsea boot with a bit of a Western vibe (see: pointy toe, stitched welt). 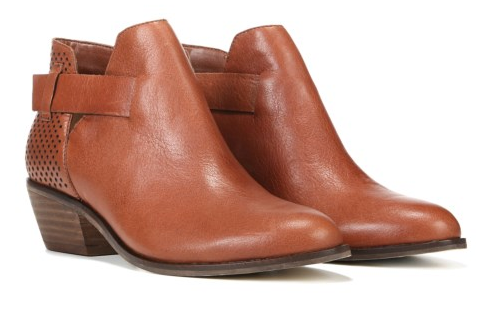 Inspired by luxury shoemakers, this pull-on style is made of smooth leather, right down to the easy-to-break-in sole. When you select your size, “H” equals a half size. 4″ shaft height (based on size 7). Our wardrobe superhero returns with its walkable stacked heel, wear-with-everything silhouette and charming hand-stitched loop. 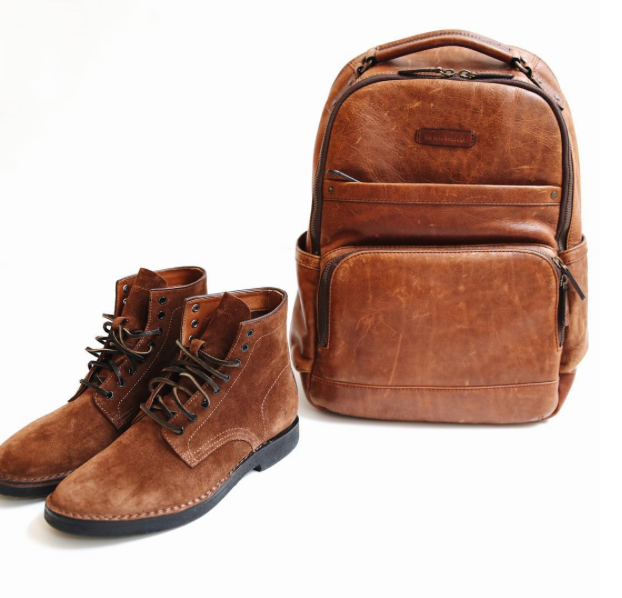 Inspired by luxury shoemakers, this timeless boot is made of rich suede with easy-to-break-in leather soles. When you select your size, “H” equals a half size. 4 3/10″ shaft height (based on size 7). Color Choices: Wood Suede, Greystone Suede, Black Suede. Color Choices: Black Calf, Midnight Suede. 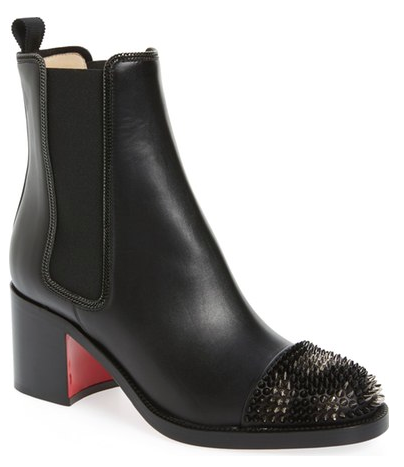 Eye-catching studs embellish a chic Chelsea boot crafted from luxe Italian leather and styled with a rounded cap toe. The iconic red sole—born from a fateful brush with red nail lacquer—pops beneath the stunning silhouette. 2 3/4″ (70mm) heel (size 38.5). Pull-on style with elastic-gore insets. 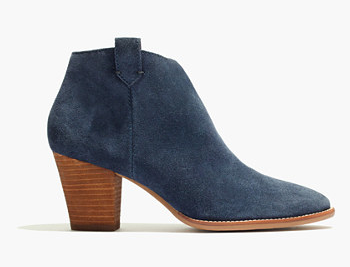 A wrapped block heel updates and refines the silhouette of a quintessential Chelsea bootie fashioned from rich, burnished leather. 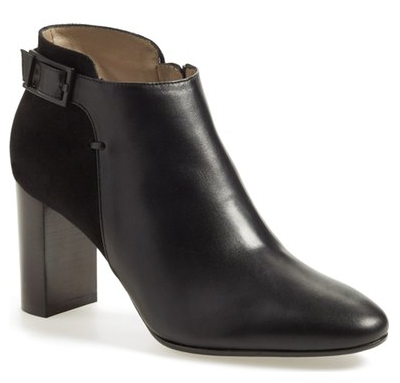 3 1/2″ (90mm) heel (size 39). The embodiment of a luxe ankle boot for the new season – the Dunaway in antiqued brown leather with burnished gold applique work. 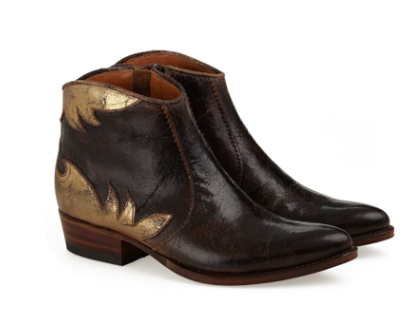 This exquisite boot is inspired by the authentic cowboy boot and made to those exacting methods. 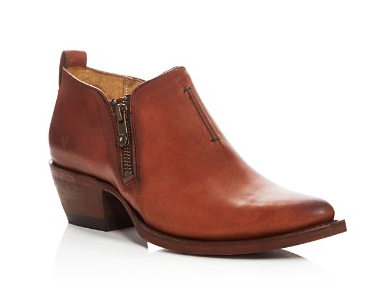 This cropped style with low Cuban heel will turn heads, giving polish and attitude to any look this season.